Q: What is the structure of the Tanzanian education system? What do “O-level” and “A-level” mean? The Tanzanian education system consists of seven years of primary school (Standard 1-7) starting at age 7, followed by four years of “Ordinary Level” (O-Level) Secondary School (Form 1-4), two years of “Advanced Level” (A-Level) Secondary School (Form 5-6), followed by University (typically a 3 year program for a Bachelor’s Degree). In Standard IV, VII, Form IV, and Form VI there are national examinations which determine whether or not a student will progress to the next grade. In 2002, only 22% of primary school leavers entered Secondary School. Due to government efforts in building schools, this percentage rose to 68% by 2007. In 2002, 29% of Form 4 leavers were admitted into Form 5. By 2007, this percentage had only increased to 39%. Even fewer Form 6 leavers are chosen to go on to University. Those who are not selected for A-level may elect to retake Form 4 national examinations in a subsequent year. It is very difficult to improve their scores without actually re-taking the courses, since the students are now outside of an academic environment. Some students are successful their second time, because they have retaken O-level courses at a private school before redoing the Form 4 examinations. Students who do not wish to retake the Form 4 examination but scored sufficiently well may also seek a position at a Teachers Training College or pursue Vocational Education in a number of trades. Q: Where is Ruvuma Region? Why does TETEA focus on this region? Ruvuma Region is located in the Southwest corner of Tanzania, bordering Mozambique and Lake Malawi. Unlike the northern regions, which are home to Kilimanjaro and the Serengeti, Ruvuma draws few tourists and visitors, which translates into less aid. Furthermore, until recently, even Tanzanians considered the region to be very remote and inaccessible. This has been changing over the past 10-15 years as the paved road to Songea has opened the region up to a freer flow of goods and people, but the region is still lagging behind educationally and economically. There is a lot of need in the area and few organizations are working there to address it. Furthermore, five of the six founders of TETEA served in the Ruvuma Region during their Peace Corps service, so they are familiar with the area, the need, and have the connections to ensure success in TETEA’s projects. Q: What are TETEA’s long term goals? 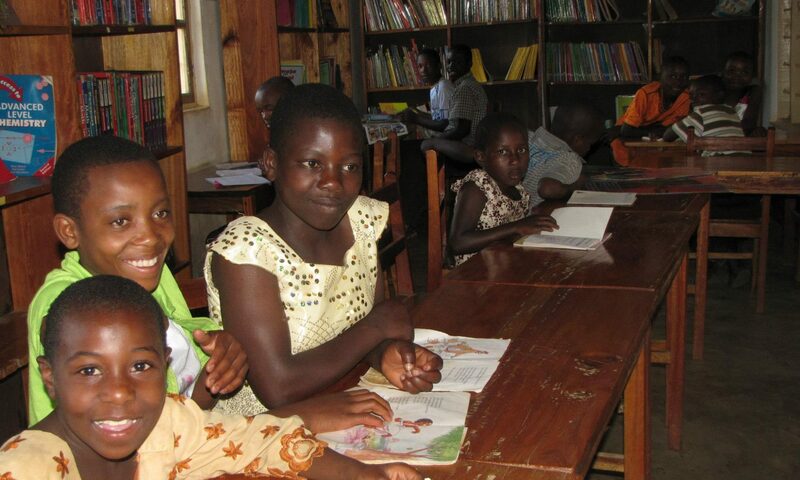 In the long term, TETEA plans to expand the network of village libraries it is supporting, while continuing to increase the amount of digital resources we make available via SMS on mobile phones and via our Maktaba website. We will also continue to provide scholarships through programs centered at the libraries we operate. Q: How is TETEA different from other NGOs? All US-based board members and officers served in the US Peace Corps in the Tanzanian Southern Regions for 2-3 years. All were secondary school teachers in the education system and have a strong understanding of challenges facing both schools and students. TETEA also uses trusted Tanzanians in competitively choosing sponsored students as well as developing projects. The bulk of TETEA’s work in Tanzania is led by Tanzanians. Q: How will my donation reach my sponsored student? After TETEA receives scholarship donations, TETEA transfers funds directly to students or their parents. For some portions of their budget, we may transfer to one of our Tanzanian liaisons who will purchase materials in bulk to reduce the cost. Q: How will my donation be used by the student? The links available on our Scholarship Page under the “Average Cost of Education” heading break down average needs for students. We examine each student’s unique circumstances to determine the amount given each semester. This may be different from the “average” needs. For example, the cost of different school’s uniforms are different. Additionally, for A-level students, transportation costs may vary significantly depending on how far the school they attend is from their home. Money not spent by the student carries over to the following year. Q: How does TETEA confirm that the student is using scholarship fees appropriately? Students as well as our Tanzanian liaisons are required to send us photographs of the receipts of payment for school fees or for purchases of school supples. We also follow up with their academic performance. National examination results are publicly released online, so this is another indicator for Form 4 and 6 students. If we notice that the student’s performance is poor, we further investigate to ensure that the money a student has requested for books and other fees are being used appropriately.